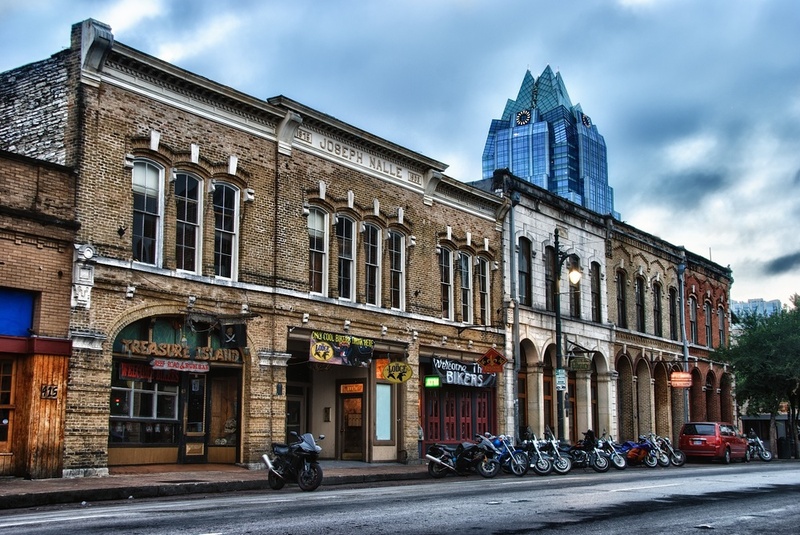 Sixth Street is party central in Austin. It's situated right downtown and packed with bars, restaurants and clubs, and it's very popular with tourists and college kids. It's a fun place to wander with a camera, though these days I usually do that early on a weekend morning instead of late on a Saturday night. I took this image last year, early on a Sunday morning right after the huge Republic of Texas bike rally the evening before. I was happy to find all these motorcycles lined up nicely, though I didn't appreciate somebody leaving their Dodge Caravan in the way! How uncool did they feel, driving a minivan while everyone else was on a Harley?